We believe in living well and eating well. That’s why Melanie launched The Connected Table Health providing health and wellness workshops, events and consulting. Inspiring women and experts on health and nutrition. JOIN THE CONVERSATION. MEET WOMEN WHO INSPIRE. TUNE IN TO FEARLESS FABULOUS YOU! 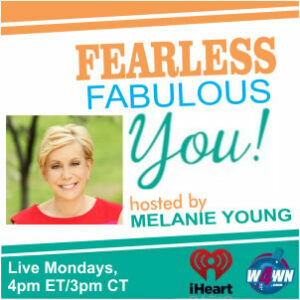 Join Melanie Young Mondays, 4pm ET on her exclusive radio show for women, Fearless Fabulous You! 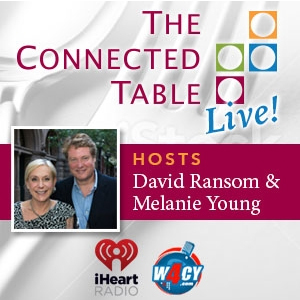 live on W4WN.com- the Women 4 Women Network , the #1 women’s radio network in the USA. Melanie interviews inspiring women and experts on health, wellness and nutrition. Fearless Fabulous You! reaches an international audience through Heart.com where it is available anytime on demand under Shows & Personalities. Click this link listen to all podcasts. Read more on the show here. Want to join the discussion and be a part of the show?